These cases are an optional extra that are generally purchased separately. Whilst a lot of our display products come with a soft case, some people prefer our hard moulded plastic ones because they offer a little more protection. These cases also feature a butterfly latch and inset wheels. These cases are actually quite large in size – 675mm wide x 395mm deep x 956mm high. Inside, there’s room for a pop up display, lights and possibly a pull up banner or two. Depending on the size of your booth, you might be able to transport everything you need all at once. 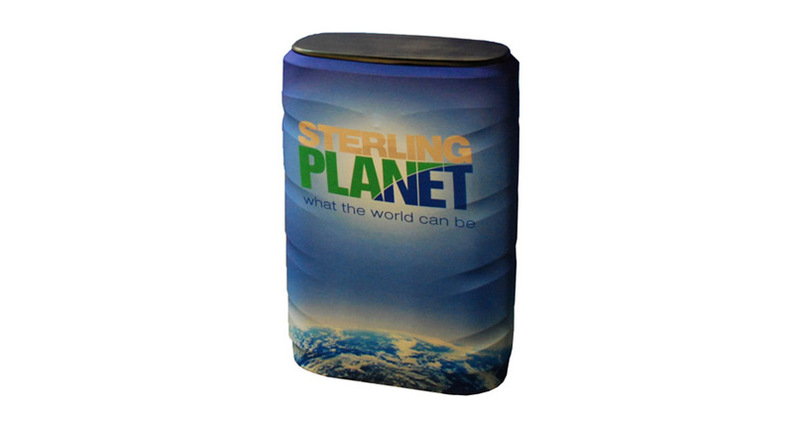 As an optional extra, you can also get a digitally printed fabric sleeve. This fits over the case, much like a sock, before the addition of the top in order to convert it into a counter. All graphics come in full colour for maximum brand impact. How much do these cases weigh? 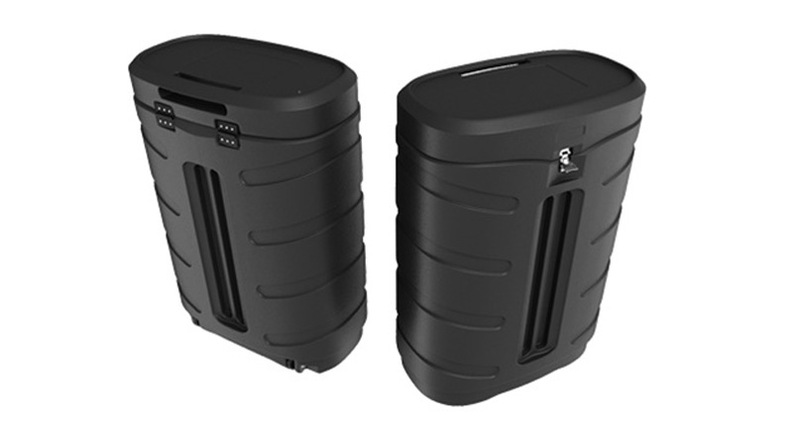 Our transit case portable counters weigh around 9kg when empty. Please note that their weight will be significantly increased when used to store display components. Can I purchase a case without a graphic sleeve? Yes, we also offer these cases without sleeves. If you would like to order a sleeve at a later date, please contact us directly. How long is the turnaround time on these cases? We usually have them in stock and can ship in 24 hours. The printed sleeves usually take five days from receipt of finished artwork.